As most stories start, there was a time when everything was easy and the flow of life was like an easy stream of water belonging to a small creek, which belonged to a bigger river and maybe even to a bigger ocean. The river flowed its way into where it wanted and it never came across anything but beautiful riverbanks with colorful flowers, bees doing there bee like things and wild animals drinking just a small portion of the river’s presence. But, like so many stories before ours, such peace and happiness won’t be the way this stories will come to be and this zen-like state would change, forever. On one dark and cold December night, the river flowed into, what soon will be, it’s biggest and most scary crossing it would take in his long and everlasting presence. From afar it saw a darker and more red glowing sky as it had ever seen. It’s wasn’t the moon, which was bright and glowing above it, but the pull of its magnificence being did weigh heavier on the river for some unknown reason. The heavy sense of toxins, smoke, and blood became more and more noticeable within every inch of the river flowed towards that smoke-filled sky. The melody of strange sounding wolves, other beings, and were that mortals flowing in the river which gave their last breaths, were getting louder and scarier. As soon as the first wooden houses rose up, the river could almost feel itself being consumed by some sort of evil, like a thick and syrupy substance being mixed into what once was a clear blue water, it turned into a red stream of death, decay and maybe even a spark of dark sorcery. The river, as rivers do, still wanted to keep flowing downwards, but when it approached the harbor it almost came to a complete stop and found the source of all these changes. What it found beyond that scene, was the clear and dark reason why it was called what it was called later in history, the River Thames (Tame), or better know in our story, as The Dark River. The elephant in the room and we admit it freely its something we love a lot, the artwork is one on a level we have rarely seen in board games. It’s so detailed, it’s so fitting, it oozes horror and is just absolutely one of the best ever created for a board game. Diversity in unique character cards (both relics & monsters) and the available Overlords (8 with the Noble pledge!) are awesome. So much cool creatures from the well know horror stories or ones which get lesser attention are portrayed in cool ways. Horde actions versus faction monsters to boost your own Overlords powers. You cannot go for only faction monsters, you will need other ones too, to make hordes of monster for extra actions. So mix your deck up with all kinds of creepers. The possibilities are humongous with the easy set of Keywords and the stories which are out there to include in this adventure. It seems a smart choice by Kolossal Games to put out games which have legs for many moons to come. We are curious what the team game will bring. This really seems like a 2 player battle card game only. So there may be a limit on gamers who are looking for a game for a higher player count. Cleaning up some of the Keywords, trying to limit some edge cases which may lead to confusion is a development activity which needs to be done still before production retail launch. Player boards need some work, we don’t want that health marker being on the wrong position due to a bump. But being a Kickstarter, and seeing the unlocked stretch goals, this has been unlocked already. Not much here, for this time, our opening has set the scene hopefully and puts you into the fantasy times of classical monsters, beasts and dreaded humanoids roaming the streets of London. As one of the mighty Overlords, which are the big bosses behind the curtains, you will be trying to be the one left standing in a clearly broken world of darkness, magic and more shades of grey. You will horde, trick and play the big puppet master from behind the curtain on your minions, underlings or other creepy creepers. Every player is given his starter deck, ten cards containing money cards (cultists), power cards (fanatics) and two out of four of your influence cards (special power cards related to your Overlords faction) which you can choose before the game. Out of the ten cards, the start player takes four cards and the other, five to start the game off. The goal of the game is to slay the other Overlord and reduce its health to zero. Resources come in three flavors, Coin, Power & Regeneration. You can do the following actions on your turn, which contains playing as many cards from your hand as possible and consist of three phases, passing is only allowed with at most 1 card in hand. Which you put onto the draw deck. Phase 1, The Action Phase. Play cards, form hordes, activate Relics, use Overlord abilities, buy cards from the street and deal damage. Play Actions are simply played a card from your hands with no costs and play out its immediate effect or which may activate later in the round. Buy Actions are when you have enough money played on your play area, you can purchase a card from the Street to build up your deck better. Attack Actions is putting your build up power to use and deal damage. Horde Actions lets you form or expand a horde, which will give you nice bonus actions and ways to manipulate the game state. This is one of the unique, or at least fun parts of Terrors of London, making compatible factions lines. Relic Actions lets you activate one of your maximum of three Relics. Overlord Action is a one time a turn possibility to active your specific faction power on your player board. Pass Action is simply that, passing out of your turn. Phase 2, The Clean Up. Simple, clean up the mess you made with all those cards but leave those Haunt given monsters where they are. Phase 3, The Draw Phase. Draw five new cards, if your deck is empty, shuffle your discard and form a new draw deck. Next player is up. This continues until one of the players is down to zero health and then you may put out your best evil laugh you can as the winner. As is the case with most deck builder card games, Terrors of London has a list of specific KEYWORDS with their unique actions within the game. We won’t list them here to avoid having conflicting meanings with the eventual production rulebook being out versus what is now present in the preview rulebook version. But understand that most of the ones figured out by Brad Pye are very clear and are making sense in most cases and aren’t hard to grasp after a few plays. Being a preview copy, this is always difficult to say, but based on the artwork and the reached stretch goal of for example 300GSM cards, this will be a beautiful game, where the artwork will be the key factor eventually. The rest of the game components are quite basic cardboard chits and player boards. The cubes we used for health tracking are replaced by small open cardboard donuts with a hole which lay flat on the player board. Sorry, we couldn’t come up with the technical term of those. At least, that’s a better solution when you bump the table instead of the cube. The Player aids are fine, but we do like to have them include all of the Keywords and the possible Actions for the production release. We think it could do an even better job there when they do that. Less friction is more enjoyment. But, knowing Kolossal Games as a publisher a little, they will do their utter best to deliver the highest possible product as possible. These Cultist and Fanatic cards make up your starter deck and will give you money and power to obtain better cards. It is another deck builder and there are many of those out there in the wild. So where will this one hold up on our game shelves? We don’t own many of them, if we look at Boardgamegeek (we did search on deck builder & card game) we don’t own a lot of competitive deck builder cardgames. Helionox, Hands in the Sea and as a co-op we own Aeon’s End, those don’t have any overlap. So for us on both theme and mechanisms, this can stay on the shelf for a while as a go-to deck builder game which takes just a few minutes to play and have a hell of a lot of fun. We often like the deckbuilding part in grander board games as one part of the experience, and we do less go for full-blown deckbuilding only games like Dominion, but in this case, it is theme, cleverness and the easy to grasp rules & keywords, which makes this a keeper for us. These influence cards spice up your factions powers. As Overlord it can give you the needed extra actions to derail your competitor’s plans or get stuff back from the dead. Using the Boardgamegeek ratings, this is a light to a medium-light card game. When you understand the Keyword principal it’s just matching icons for the horde abilities and trying to make the most out of your hand of cards & abilities. We found for example Omen a Reign of War from the same publisher a notch higher in complexity on Keywords, but just a tad. There are meaningful decisions to make, which monsters to add and where do I balance variety versus own faction? But there is also a big amount of random luck of the draw with the stuff available from the Streets. This game breaths theme in every sense of the word. It’s really that simple and it’s a full-blown thematic card game. The card actions make sense with the characters, the Overlord special abilities also make thematic sense with their factions. The one thing which is less thematic, or at least it isn’t in the same style as the hand-drawn cards, is the 3d like faction symbols, but for gameplay purposes, it does work quite well and it’s a nitpicky thing either. We really like playing this one and that obviously is very personal, and the concept fun in its sense is also very subjective. If fun sets you off on the wrong path, replace it with enjoyable instead. It’s a good thing more Overlords and Monsters are added through stretch goals so the game won’t get stale soon. Combining the right monsters, with the right artifacts and delivering your opponents tons of damage is just a satisfying feeling for us. Playing a couple of games, in just an hour, makes this an acceptable thing and won’t make the other side too grumpy. It stings, but shuffle up and start over making the world a darker place. The death of an Overlord, a tragedy for some, a win for others. You will bust this out in minutes and same for clean up. If you keep the Acolytes separate, the starter cards, the special overlord cards and just the big deck of other cards, you are set for the races in a quicky. The horror style game does mean you need to be open to somewhat more explicit kind of artwork. It isn’t a gory style, but nonetheless, it is something to be aware of. But being a light game it’s playable with a lot of people and the explanation is done in a few minutes. So there’s a broad group of gamers to play this game with. For our D&D friends this is a game which they are going to love to pieces, but for our family, it may be a little too explicit in its exposure, but if they can stomach it, try to let them see the beauty of this title. If you like a little Horror in your life and adore beautiful artwork, or if you like a solid deck builder which isn’t overly complex but still has a lot of cool little things going, don’t look any further. This game is going to fire up some of your senses and scare other games in its niche away. A more strategic way of play is possible, but there is a sweet sense of randomness left. which fits the setting very well. If you don’t like darker subjects and want heroes in your stories, don’t take this path. But do know that on the dark side there can be a beauty too. If you want a highly strategic deck builder with zero luck, that’s also not the case here. This game needs you to do a little of many, and for players who want’s set strategies to explore, they may be lost in the balancing act this game needs. We hope you liked our contribution to this Kickstarter and if you do, let the publishers and other gamers know this on the Kickstarter page or down below with a comment or a like. You can’t imagine how much those are appreciated and do make a difference.  Thanks for reading and joining us on our board game journey. More monster and relic cards from Terrors of London from Kolossal Games to close the preview out. Love your board game life! This copy was provided as a preview copy by the lovely folks behind Kolossal Games. Thanks for the trust Kira, Travis & co! Prev Combo Fighter, video arcade gaming pleasure in its purest analog form, a Kickstarter preview.